This is the Final Friday event the art community and thirty-four exhibiting SVA artists are excited about. This is the annual event that will reveal and celebrate the results of our guest juror’s selections. Try to successfully pick who the winners will be. About the show and juror. This annual SVA event, coordinated by Artist Steve Thimmig, continues to offer an upscale theme. 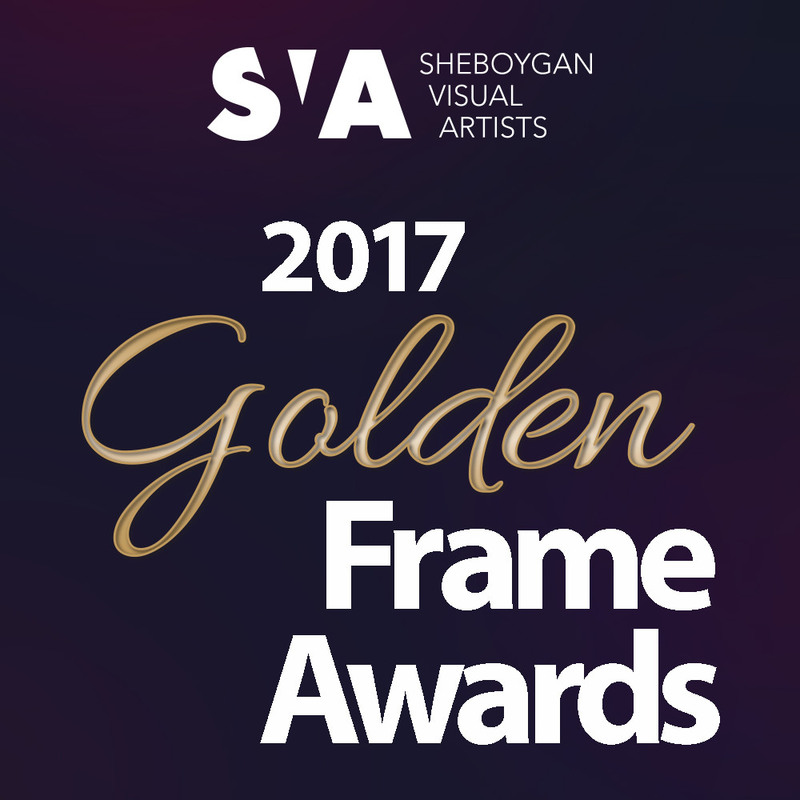 And this year “The Golden Frame Award”, created by SVA Artist, Ray Hagerman, has taken center stage as the coveted award to win. The “Best of Show” winner’s name will be added to the award but the trophy will stay in the gallery. In addition, there will be cash, awards, and ribbons given to 1st, 2nd, 3rd. – two Honorable Mentions as well as the very important, “People’s Choice” Award that will be given to the artist deemed to be the best work in the show by visitor votes during the opening reception. Distinguished guest juror Leslie Walfish, Art Curator of the Lawton Gallery and an Instructor in Arts Management at the University of Wisconsin – Green Bay. She previously served as the Curator and Director of the Edna Carlsten Gallery at the University of Wisconsin – Stevens Point from 2015 – 2016 and was the Gallery and Collections Coordinator of the Wriston Art Galleries at Lawrence University from 2007 – 2015. Leslie received a Bachelors degree in Art History from James Madison University, a Masters degree in Art History from the University of Arizona and a Masters degree in Museum Studies from Johns Hopkins University. She has curated exhibitions and worked with artists from around the world. Her exhibitions utilize a variety of mediums, styles, and techniques that highlight diverse perspectives in the gallery. This entry was posted in art event, artdose art guide, community and tagged artdose art guide, frank juarez, sheboygan visual artists, wisconsin art on May 22, 2017 by Frank Juarez.